Do You Think He Will Float? Someone just gave Henry an infant life vest. 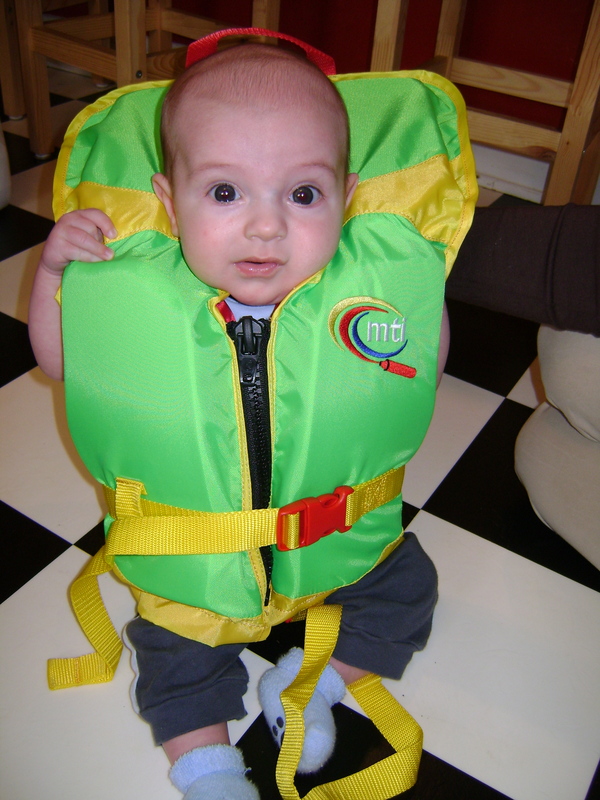 Get ready kiddo because you know your Dad is taking you out on a boat as soon as possible! I just hope Henry is excited about the water as Stephen is. Actually, I’m surprised Stephen hasn’t come up with the idea to fill up the bathtub for Henry to “swim” in…..